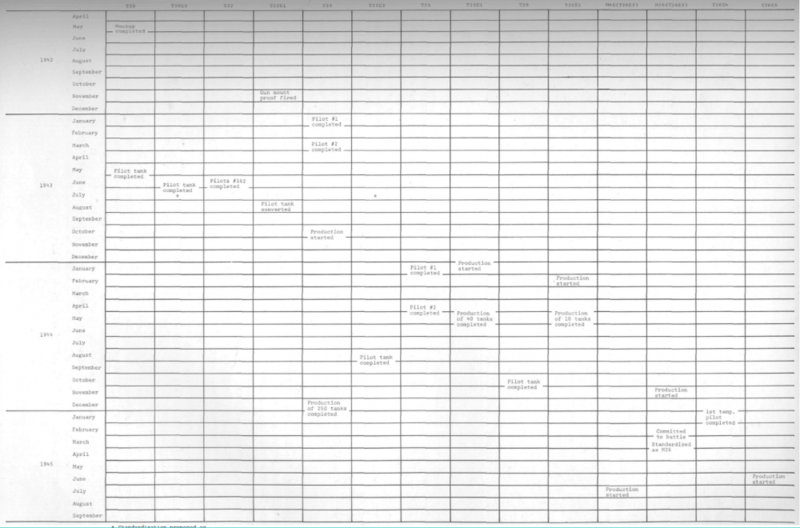 Agreed, It’s like the diagram was just inserted into this document to make it look like a valid diagram. There should be more detailed for this diagram. ...and if you download it and then take look on page 106, you will find sanitized down-scaled and unreadable version of the very same diagram. for the M1 abrams values in SB, after the cold war ended, USA and russia exchanged information about frontal armour values on their tanks. side armour was not given. for the M1A1 HA the values are. 600mm vs KE, 1300 mm vs HEAT. the values are available in the Osprey new vanguard books by steven j zaloga. note that these values are over the entire frontal arc, so from LOS front, protection will be higher on the left and right front turret faces. the values given on the LOS diagrams, are naturally LOS values, so they are higher than frontal arc values. 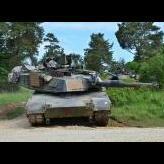 as for M1A2, well, it's anyones guess. there are several versions of the M1A2 however. the original M1A2 released in the mid 90s has a different armour package than the later M1A2 SEP from the early 2000s. and the M1A1 received the SEP armour package in the early 2000s as well. Wow! From where did you get the information that they exchanged information and that those were the values that they exchanged? Could it be that these values are actually frontal arc values and that they actual front values are actually higher? However these values were obtained, it seems the CIA considered these figures realistic enough to include them in their report. Sorry, but this page from "CIA report" is actually not from real declassified "The soviet T-72 tank performance" report, which can be downloaded from CIA's FOIA reading room. Someone decided to fill "sanitized" pages with values from other different sources, and now sells his creation on Amazon. So the chart is totally fake ? Yup, and people are giving their money for this. I had my doubts about earlier but i did not want to believe that it could be fake. Medium Tank M26 "General Pershing"
An early T26E3 example at Aberdeen. The M26 Pershing tank was an imperative step in US tank development, as it introduced many design features found in American tanks since 1945. Development efforts began in May 1942 when the Ordnance Department had enough funding, resources and demand to begin designing a medium tank to replace the M4 "Sherman". The M4 Sherman, despite being put into production in February 1942, was not at the cutting edge of tank technology. In fact, it was mostly an improvement of the tanks that came from the cash-strapped days of the 30's and early 40's. It's basic design went all the way back to the T2 Light Tank, using a similar hull layout, suspension, engine and drivetrain arrangement. While it was arguably one of if not the best tank in production in early 1942, it was clearly needing of a replacement in the near future if American tanks were to keep up with and eclipse the then German trend of up-gunning existing tanks. To replace the M4, Ordnance set out to design and develop a next generation of American medium tank that made use of the newest technologies and input from British, and later, American tank crewmen, along with the emerging science of operational research. This program would be called the T20 Program. An early artists rendition of the T20 (left), and the first mock-up of the T20 produced by the Product Study Division of General Motors Corporation (right). 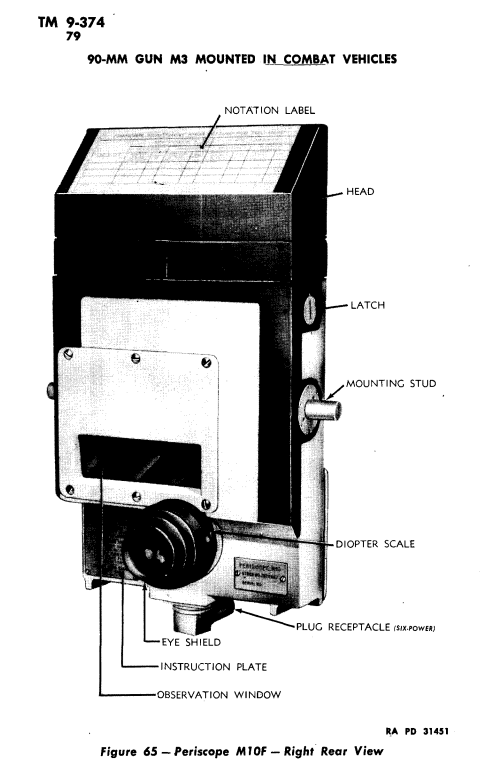 As stated above, the T20 began development in May 1942. 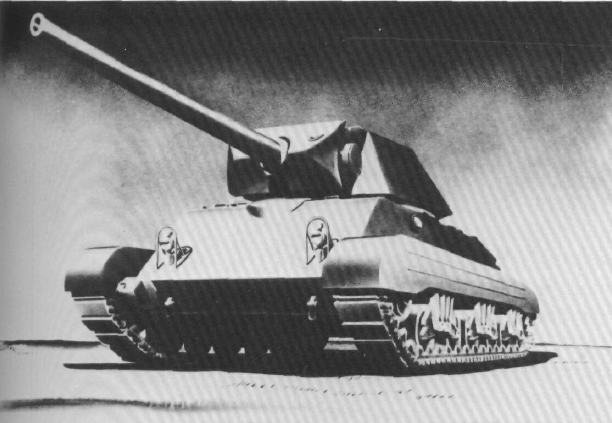 The T20 was a radical departure from the design of the M4 Sherman. The T20 abandoned the use of sponsons for a single, flat armor plate on the side of the hull. This was a part of a new tank design theory called "Space Engineering", whereby a maximum of armor protection for a minimum of weight was desired. While this goal is the goal of every tank designer, Space Engineering fulfilled that objective by reducing the internal volume that needs encasing by armor plate, thus allowing a higher degree of protection for the same weight, with the added benefit of making a smaller target. 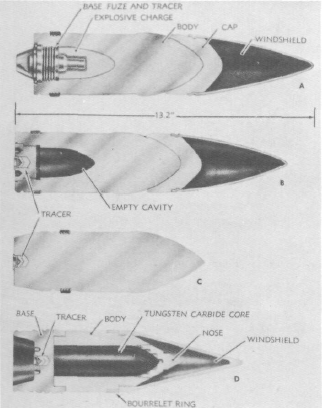 Removal of the sponsons, relocating of certain noncritical components to the outside of the hull or into the engine compartment, adoption of a lower profile engine, and removal of the driveshaft beneath the turret achieved that goal. Space Engineering succeeded, as the T20 gave armor protection superior to that of the M4 Sherman while weighing about a 1 metric ton less in unstowed weight. Another design deviation from the M4 was the T20's power train arrangement, which was really quite revolutionary for tank design. 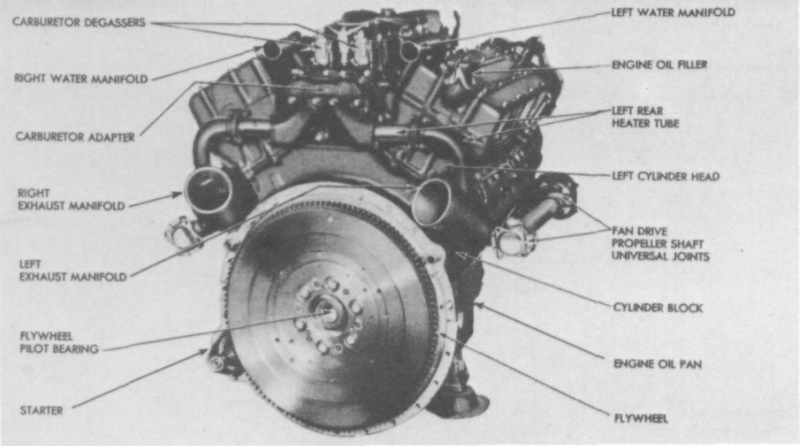 The M4 Sherman had its engine in the rear of the hull, powering a driveshaft that connected the engine to the front of the tank into the transmission and differential at the front. This resulted in the Sherman turret needing to be raised to give clearance for the driveshaft, thus increasing the height of the vehicle. While this gave the M4 a higher fire height, it made the M4 a larger target. The separation of the transmission/diff and engine also meant that both had to be removed individually, which has both benefits and detriments. 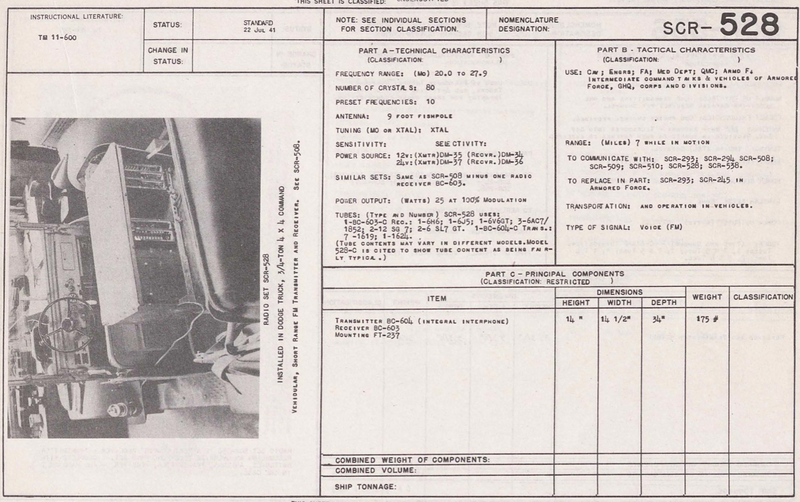 Also, the transmission and differential gave additional protection from penetration in the lower part of the hull. 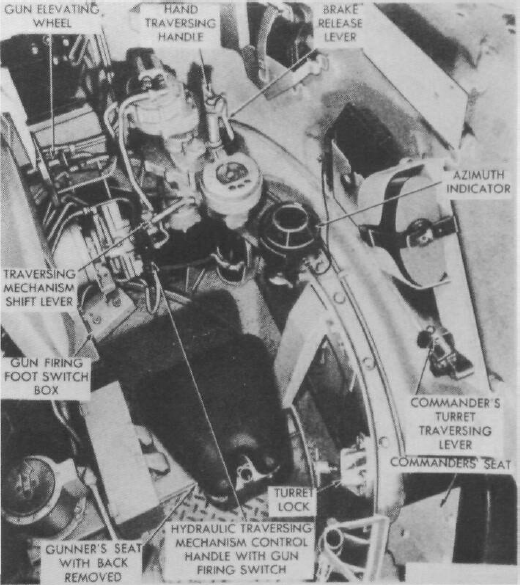 This arrangement was abandoned in favor of locating the engine, transmission and differential in the rear of the hull. While nothing new to British and Soviet tanks, this was a first in American medium tanks (excluding the Christie T3). 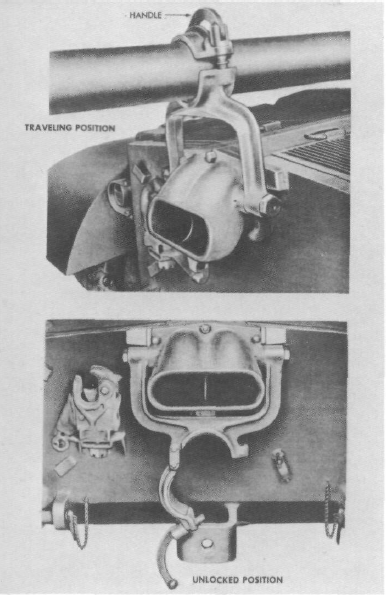 This propaganda piece clearly illustrates the layout of the Sherman's powertrain, and the issues of having a driveshaft pass beneath the turret. 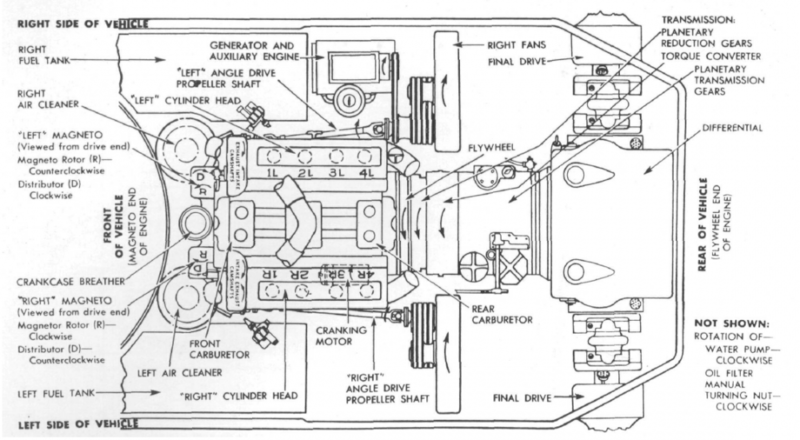 The fact that the engine, transmission and differential were now located together in the engine bay permitted those items to be installed and removed as a single unit. 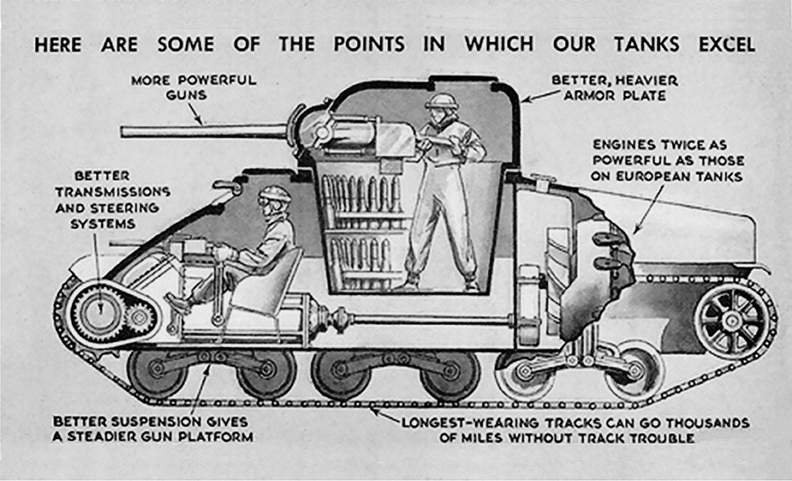 As far as I am aware, this is the first instance of the powerpack concept in tank design, although British and Soviet tanks may have had this feature beforehand. The T20 also used an automatic transmission, the Torqmatic transmission. This is the first medium tank design to use an automatic transmission, tanks before it used manual transmissions. Several other features were present on the T20. 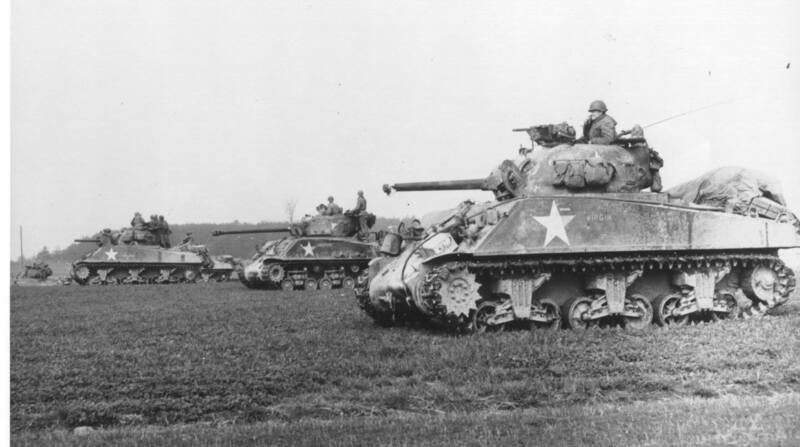 The T20 series was proposed to have several options of armament, including the 75mm Gun M3 found on the M4 Sherman, the 3-inch Gun M7 (found on the M10 Tank Destroyer) and the 76mm Gun M1 (developed from the 3-inch, found on the M18 "Hellcat" TD and later M4 Sherman's). 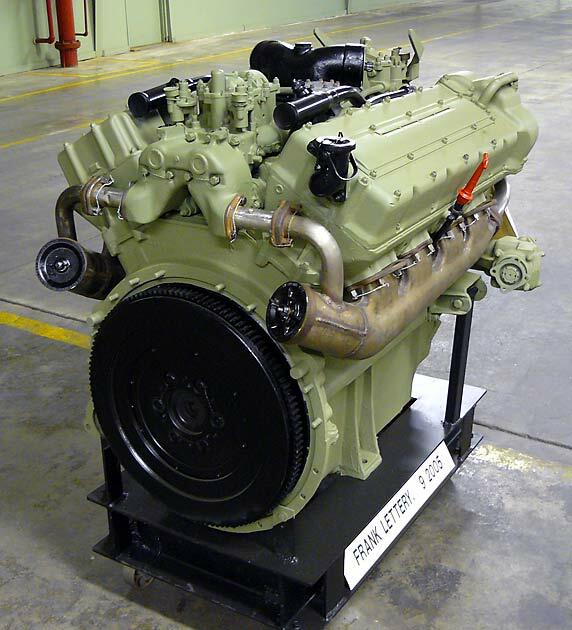 The engine was planned to be the Ford GAN, a gasoline V8 engine outputting 500 gross hp. 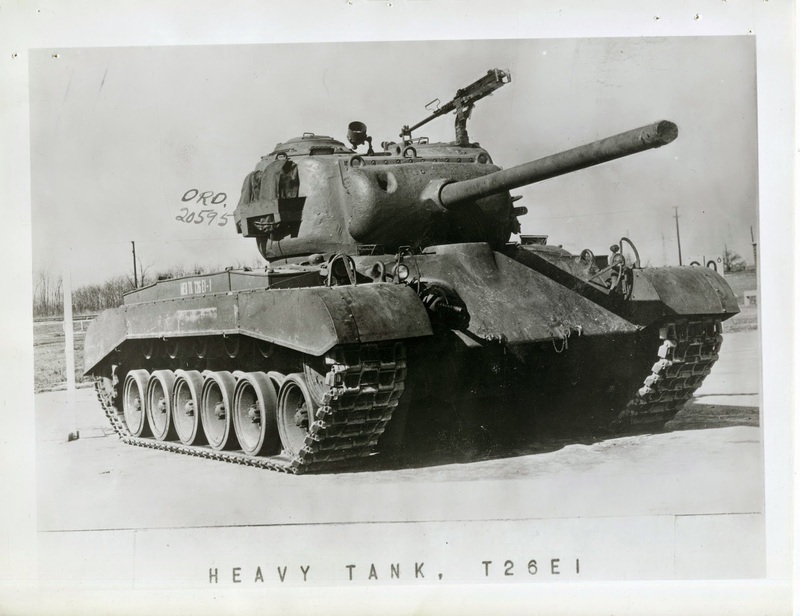 The T20's basic design was modified into many forms during the process to design a new medium tank, and used many emerging technologies like electric transmissions and autoloaders. The development story is truly fascinating, I recommend reading Pershing: A History of the Medium Tank T20 Series by R.P Hunnicutt to gain a deeper insight into this topic. However, the rest of this post will focus on the development of the T26 series of tanks. Development Chronology of the T20 Series, 1942-1945. In April 1943, the T23 program was going along smoothly. 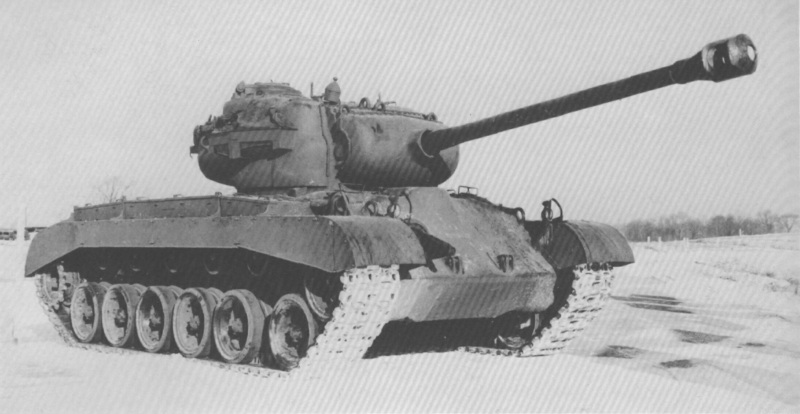 The T23 used an electric transmission and slightly improved armor protection. However, there was debate over whether to fit the tank with a 76mm or 90mm gun. 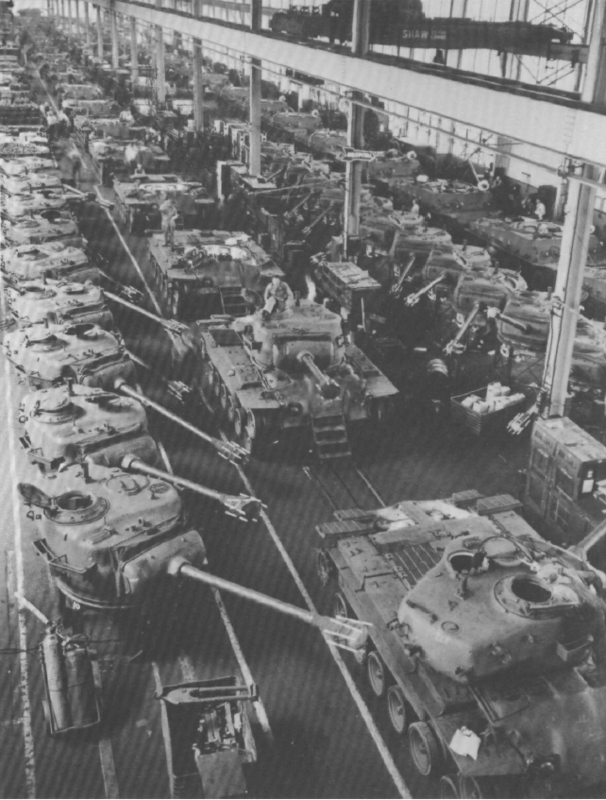 This dispute was resolved by approving production of 200 vehicles with the 76mm gun, 40 with the 90mm gun and 10 with the 90mm gun and heavier armor, that last vehicle type would be designated the T26. The need for a tank with heavier armor and a 90mm gun was motivated by US Army encounters with the German Tiger I tank in North Africa. The T26 was fitted with an electric transmission from General Electric. It allowed fully regenerative steering, neutral steer, good acceleration and speed both forward and in reverse, and could even be remotely controlled. However, the electric transmission was quite heavy and needed specially trained maintenance personel to maintain it. 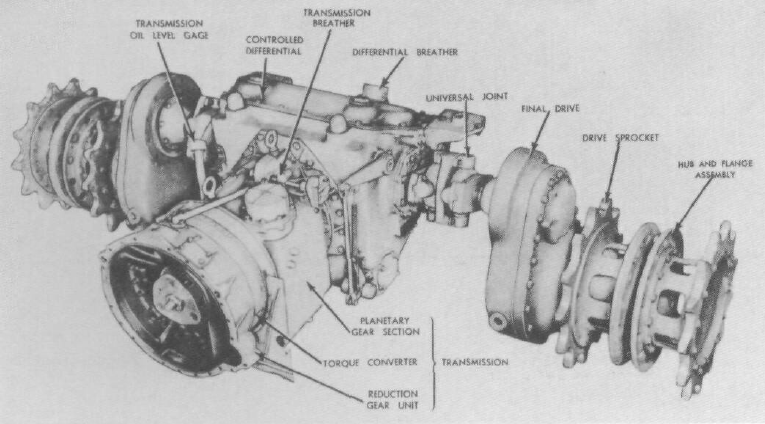 As a result, the T26E1 was designed with the Torqmatic transmission. 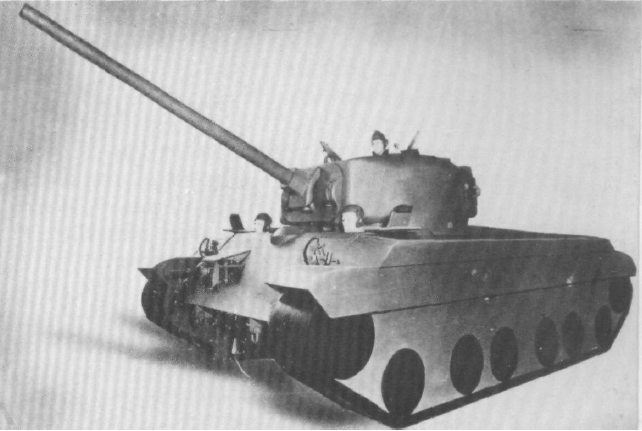 After a lengthy process, Ordnance received permission to produce the tank in December 1943, with initial deliveries from GM's Fisher Tank Arsenal beginning in February 1944. The first T26E1 pilots arrived at Aberdeen in March, just in time for a demonstration to senior officers at the end of the month, and another in April. The tank impressed many, and was approved for mass production. 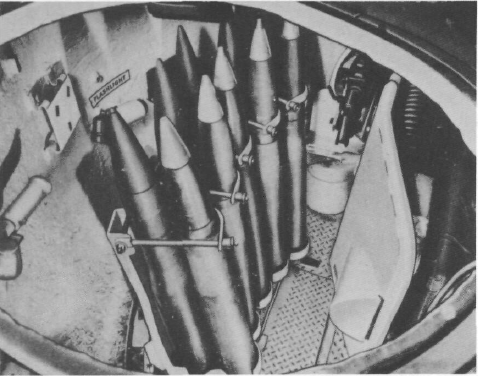 However, Ordnance testing that concluded in May found that, while the T26E1 was overall satisfactory, there were major issues with poor cooling of the differential, repeated failures of the connection between the engine and flywheel, plugging of the radiators cores with dirt, oil leaks, and a low count (42 rounds) of 90mm ammunition stowage. Firing tests at Fort Know also revealed that a muzzle brake was needed to mend obscuration issues with the 90mm gun due to excessive dust kicked up by the muzzle blast. The T26E3 incorporated these design changes, and began production in November. 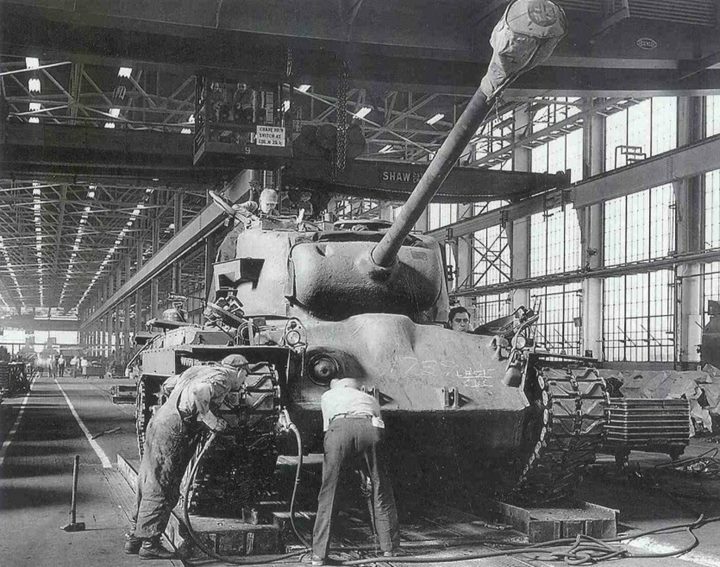 T26E3 production at the Fisher Tank Arsenal during the winter of 1944-45. Crew: driver, assistant driver/bow gunner, gunner, command and loader. Zero penetration ground pressure: 13.2 psi. 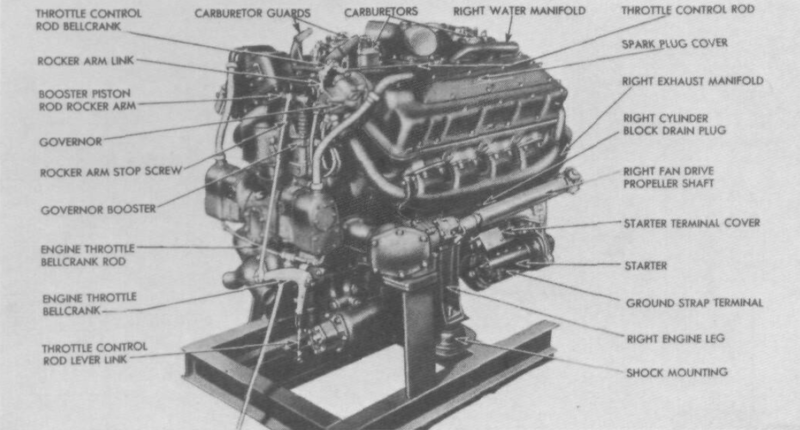 The M26 powertrain consisted of a Ford GAF, a gasoline V8 engine producing 500 gross horsepower at 2600 RPM, and 1040 ft-lb of torque at 2200 RPM. The engine ran on standard 80 octane gasoline, of which the fuel tanks held 183 gallons. 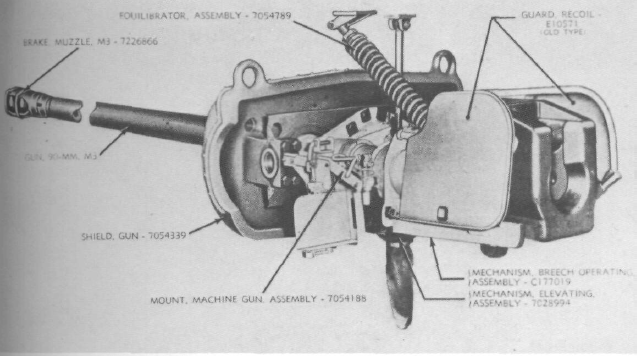 The transmission was the Torqmatic automatic transmission, with 3 forward speeds and 1 reverse, connected to a controlled differential. The Detroit Transmission (now Allison) Torqmatic automatic trannie. The controlled differential, absolutely nothing new for tanks. The Torqmatic trannie, controlled differential, final drive and sprocket. The engine, trannie and diff being removed as a powerpack. The suspension is a hydromechanical torsion bar suspension, with six 26-inch roadwheels and five return rollers on each side. The first two and last two roadwheels were given a shock absorber. 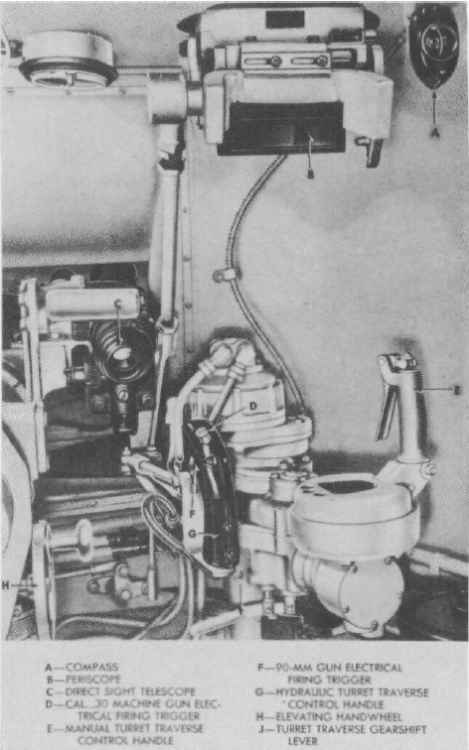 The first roadwheel and the idler were connected together, initiating the lineage of the compensating idler that has been standard on every American medium tank/MBT since. The suspension, equipped with the T80E1 track. The suspension sans track during assembly at the Fisher Tank Arsenal. The 23-inch wide dual pinT80E1 track. 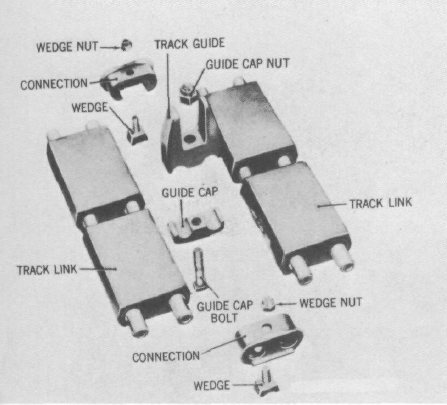 The 24-inch wide single pin T81 track. 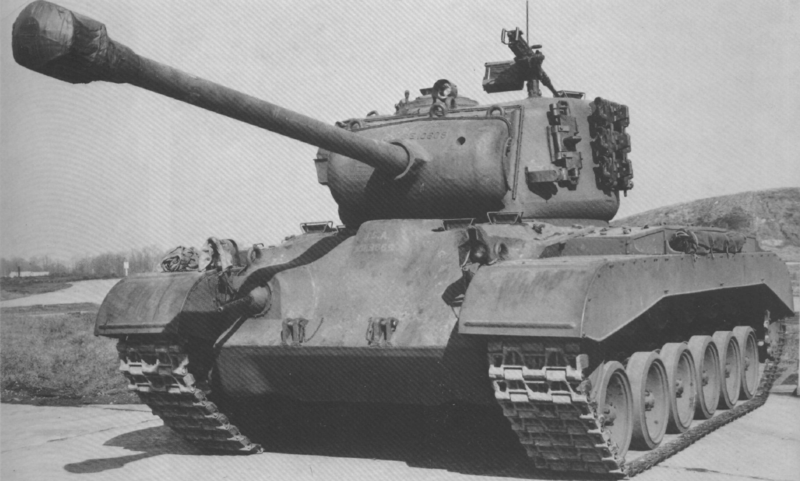 The M26 was constructed of rolled and cast homogeneous armor. The turret was cast, just like every American medium tank since the M4 Sherman. The hull was an assembly of cast and rolled armor plates welded together. 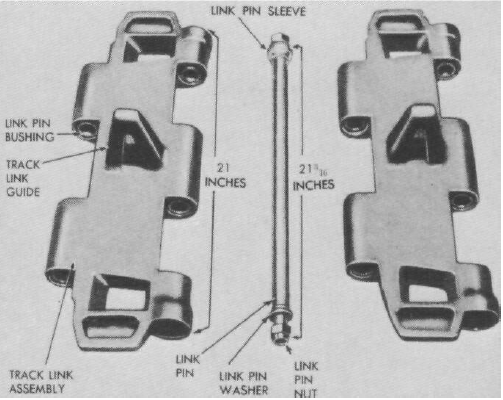 The armor layout of the M26. 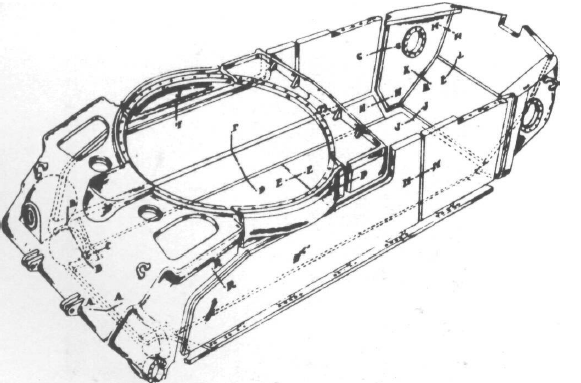 A welding diagram of the M26 hull. The M26 was armed with the 90mm Gun M3 (10 ready rounds + 60 stowed in the hull below the turret), a coaxial cal. 30 M1919A4 and a bow mounted cal .30 M1919A4 (5000 cal .30 rounds stowed), and finally the loved cal .50 M2HB (500 rounds) mounted on the turret roof at the rear. Provisions for 5 x cal. 45 SMG M3 (900 rounds), 1 x cal .30 Carbine M2 and 12 hand grenades. The 90mm M3 was developed from the earlier 90mm antiaircraft guns M1 and M2, with a rifled 50 calibers long bore. The gun weighed 2,450 lbs, and had a semiautomatic vertical falling wedge breech. 90mm Gun M3 in Combination Gun Mount M67. The throne of the 90. At the top is AP T33, and HVAP T30E16 (M304) at the bottom. Projectiles from top to bottom; A: APCBC M82 (HE filler), B: APCBC (sans HE filler), C: AP-T T33 and B: T30E16 HVAP. ...and the 60 round stowage racks beneath the turret. 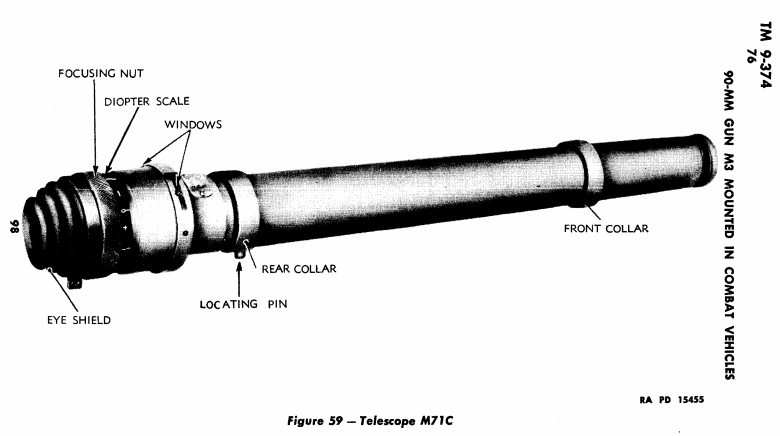 Periscope M10F, a combined periscopic/telescopic sight, and Telescope M71C. For indirect fire, he was given Azimuth Indicator M19, Gunner's Quadrant M1, and Elevation Quadrant M9. 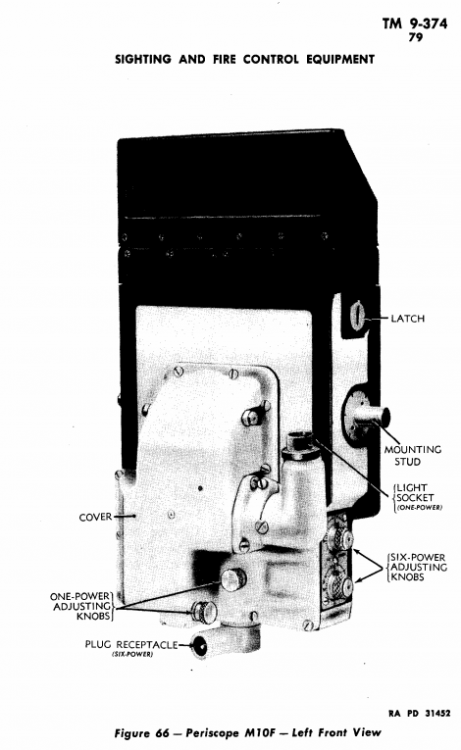 The gun was power traversed by a hydraulic system powered by the DC 24 volt electrical system, with a manual backup, and was elevated and depressed manually with the assistance of an equilibrator spring. The gunners station as viewed from the TC's seat. 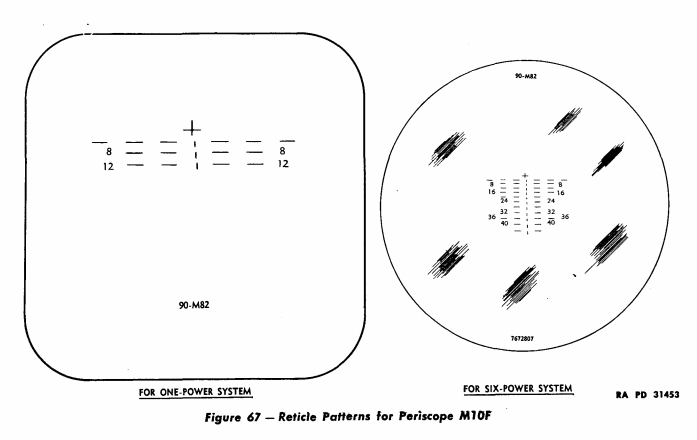 Periscope M10F was a combination dual power sight with a 1x power system and symbology for firing M82 APC out to 1200 yds, and a 6x system with symbology supporting firing of M82 APC to 4400 yds. Both sight reticles could be illuminated. The entire periscope was mounted to the turret roof and linked to the gun, allowing observation from a turret down position. 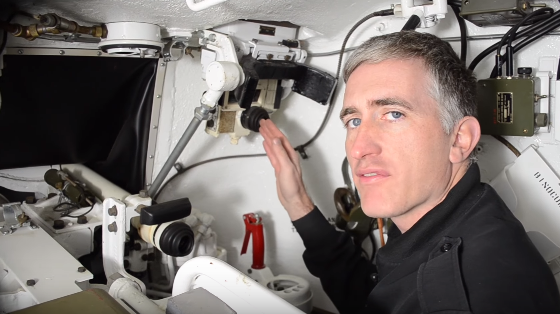 3star pointing out the gunners M10F periscope. Telescope M71C was coaxially mounted to the 90mm on it's combination mount, and was fixed at 5x magnification with a reticle that could be illuminated. 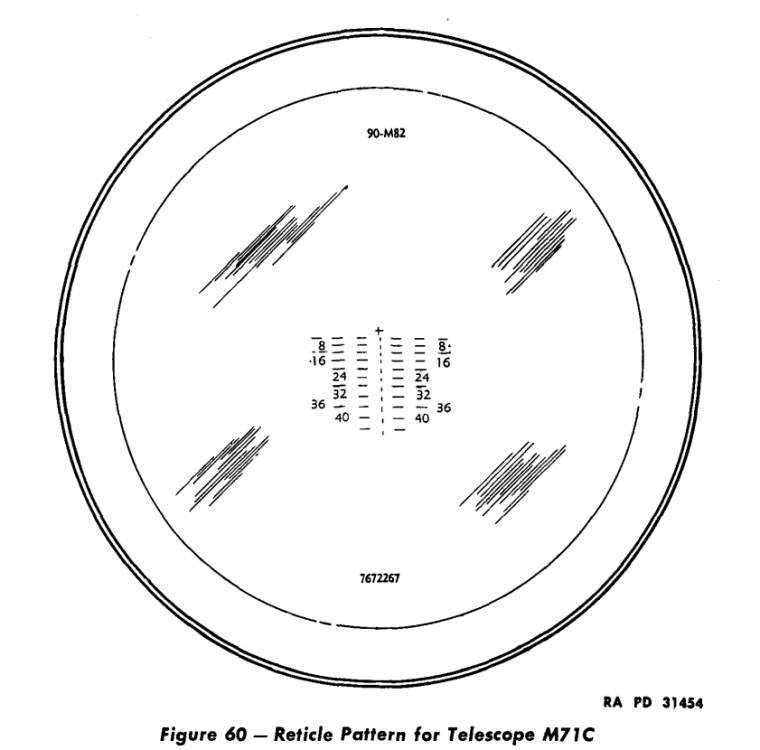 3star pointing out the gunners M71C telescope. 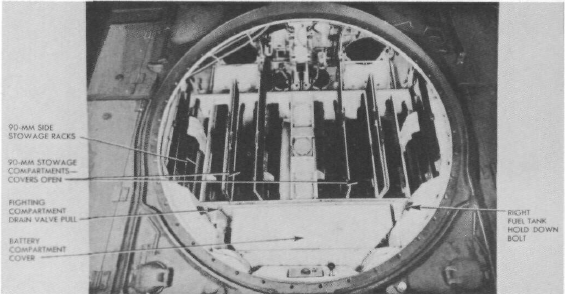 The commander was equipped with a vison cupola with six direct vision ports, and a Periscope M6 mounted in the cupola hatch that could rotate 360 degrees and elevate/depress. 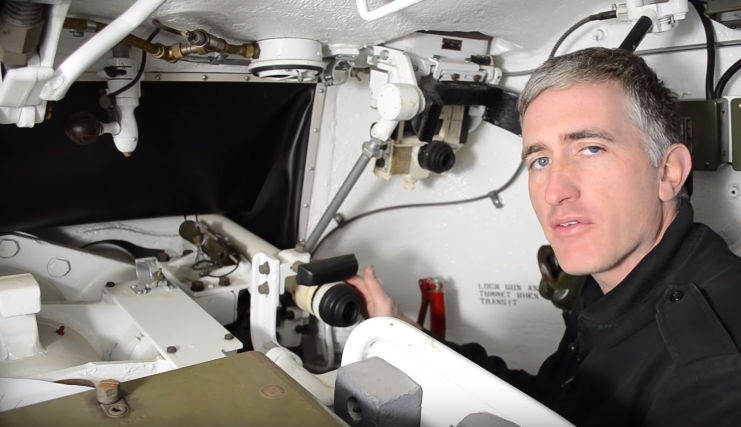 He also had a traverse override lever to assist the gunner in finding targets. 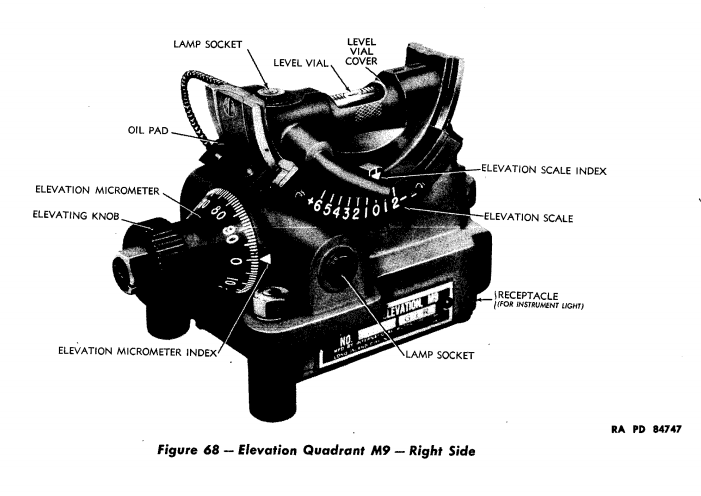 The standard M26 came with an intercom system and an FM radio system. 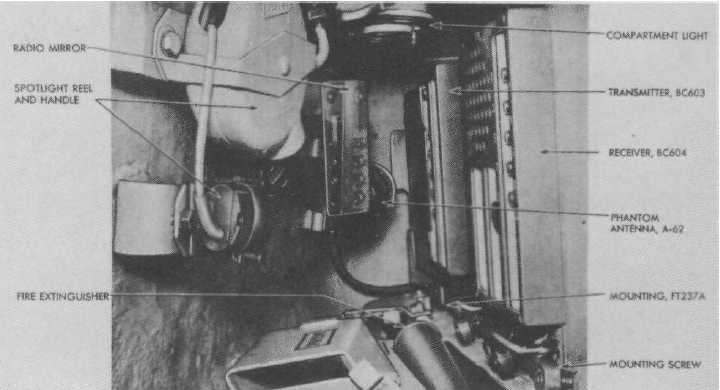 The FM radio system was either the SCR 508 (1 transmitter, 2 receivers) or 528 (1 transmitter, 1 receiver) in the rear of the turret, and some tanks had an AN/VRC-3 for communication with infantry radios. Some also had a tank-infantry telephone on the right rear hull. 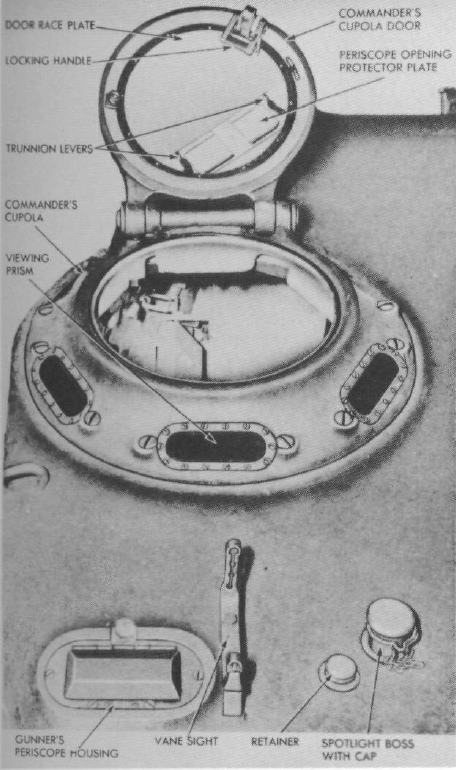 The SCR-528 mounted in the turret bustle, its longitudinal orientation necessitated a mirror for the TC to see the buttons, knobs and switches. 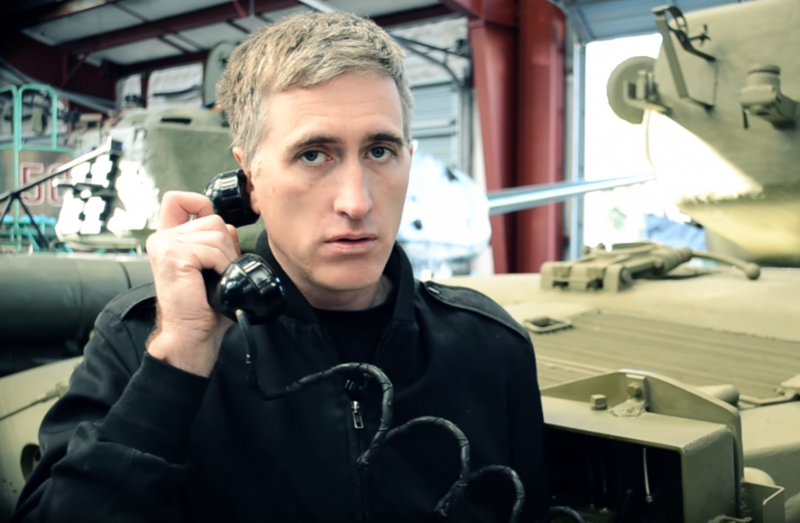 3star demonstrating the usage of the Tank-Infantry Telephone. The T26E3/M26 production lasted for 1 year from November 1944 to October 1945 with 2,202 vehicles made. GM's Fisher Body division plant in Grand Blanc, MI produced 1,729 from November 1944 to October 1945. 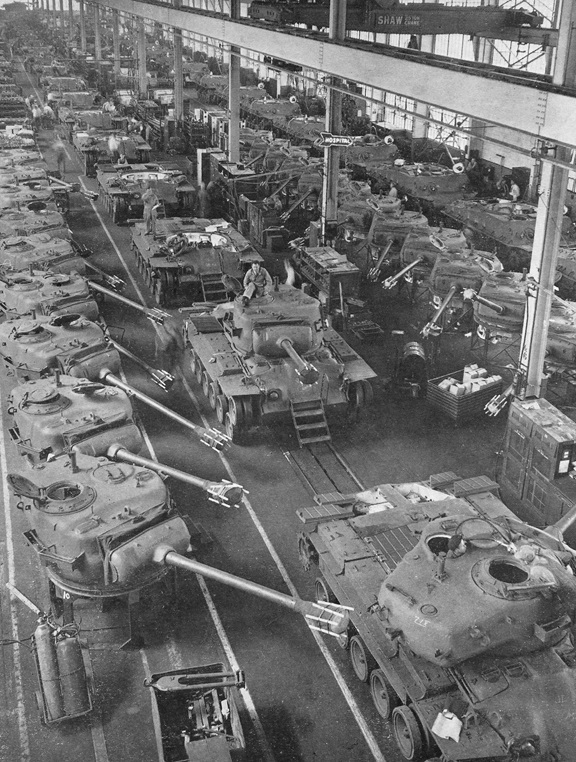 The Detroit Tank Arsenal produced 473, starting in March 1945. 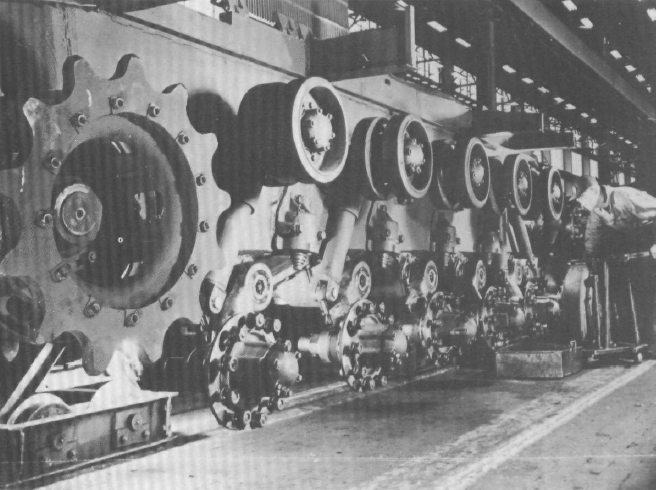 T26E3 assembly line at Fisher Body's Grand Blanc factory during the Winter of 1944/1945. 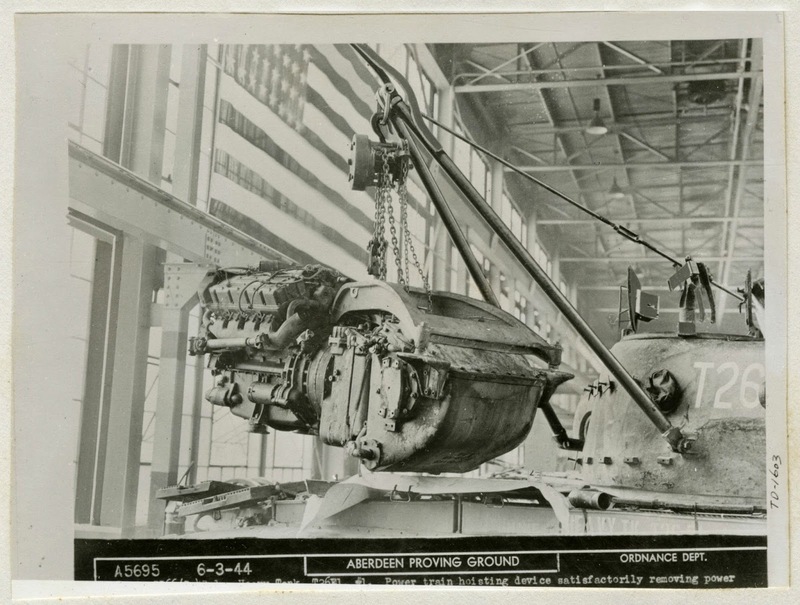 The last M26 produced rolls off an empty assembly line at Fisher Body in October 1945. M1 (1980 - Burlington 1) -> M1IP (1984 - Burlington 2) -> M1A1 (1986 - Burlington 2) -> M1A1 HA (1988 - Burlington2 + 1st gen. Heavy Armor Package) -> M1A2 early (1992 - Burlington 2 + 1st gen. Heavy Armor Package) -> M1A1 HA+ (1995 - 2nd gen. Heavy Armor Package) -> M1A2 (1995- 2nd gen. Heavy Armor Package) -> M1A2 SEP (2001 - 3rd gen. Heavy Armor Package). Was there not a minor upgrade to the M1A1HA in 1990? Also as per the release of the Document re: Swedish armor trials. 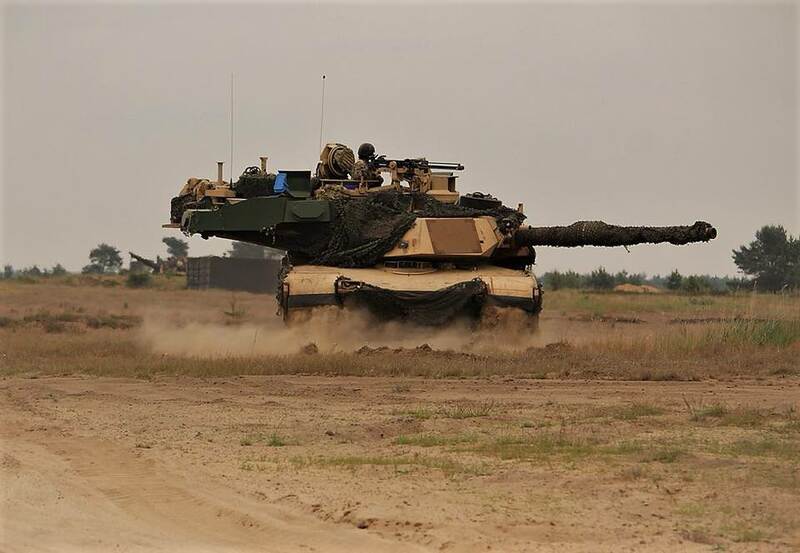 I have to wonder if the export armor package of the M1A2 is similar to the BRL-2 package, perhaps an evolution of it.. 600mm vs KE +- 30 deg is actually very good. No one seems to have much of a sweet clue as to what the protection of BRL-2 (1984) is like. Thinking about the thickest part of the turret (inserts ~900-960? mm los) I have heard estimates range from 400-to 600mm vs KE head on. 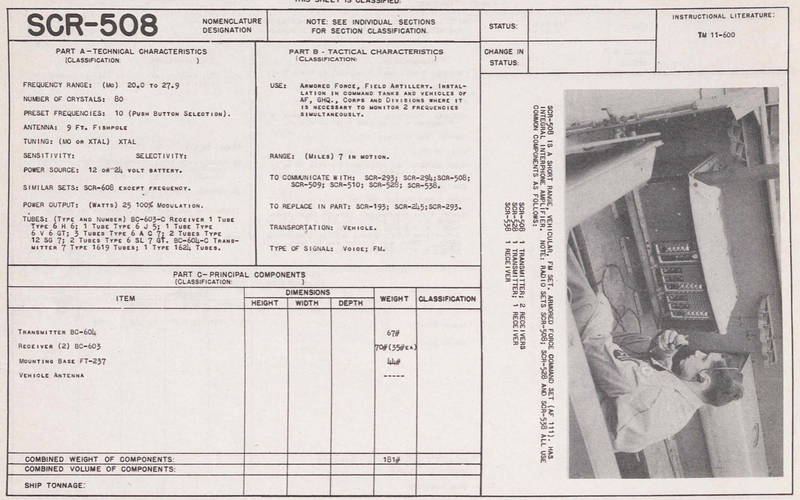 The document states that the 1987 armor package on the Leo-2 is about 575mm vs KE head on (~840 LOS). Is there are reason to suspect BRL-2 is not comparable? This close up of the weight simulators seems to suggest to me that together they are thicker then 50mm. The front welded plate is about 40mm, and two plates stacked on top look considerably thicker then that, 75-100mm IMHO. BRL-1~ 400mm=BRL-2+75mm +other improvements such as hardness/thicknes of steel in NERA arrays, more air gap, inclusion of ceramics. Not at terrible stretch to see it be around the 480-550 vs KE against contemporary ammunition (BM-26/32/42). It is a tough sell for me to think that BRL-2 is 400mm but an export armor package a decade later is nearly double at 700mm vs KE when having much more modern ammunition shot at it. On another note. 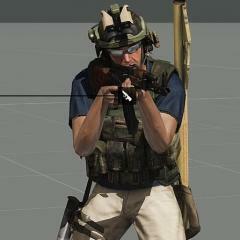 The Leo-2A4 1992 armor model in the document seems to be rather close to what we have in the game. The Leo-2A5 might be a little high but nothing that can't be easily fixed. just out of curiosity who was contracted and made the 1st gen Thermal imagers for the M1/M1IP/M1A1 family? Going off memory, the thermal imagers were common modules developed by the Night Vision Laboratory (today called the Night Vision and Electronic Sensors Directorate) at Fort Belvoir and produced by Hughes Aircraft Company (now part of Raytheon). First M1A2SEPv3's are gonna be fielded by US Army in 2019. It's worth to notice serial number on the turret side ending with letter M, meaning vehicle uses new NGAP (Next Generation Armor Package). 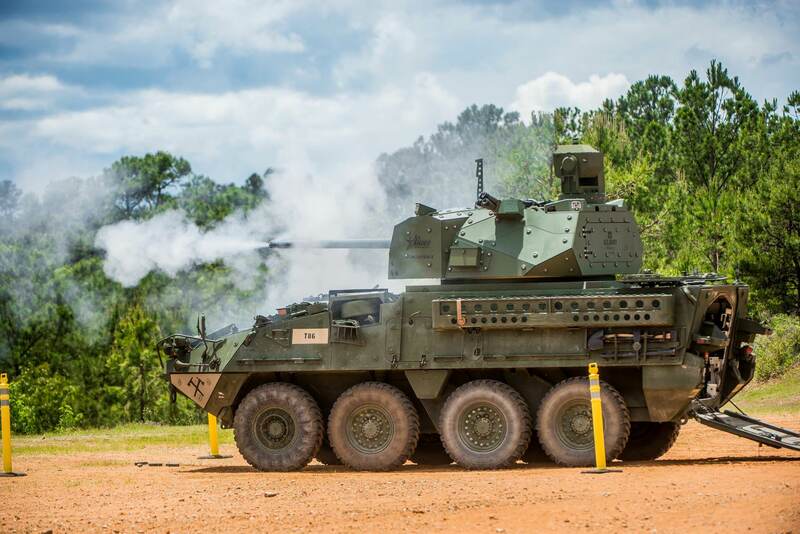 Its official, all AFV's in ABCT's (Armored Brigades) of the US Army will be fitted with Active Protection Systems. This is interesting development and imply that testing went better than expected. New unmanned turret by CMI and ARDEC. It's meant to be used on Stryker's, upgraded M2's to M2A5 standard and perhaps also new IFV developed within NGCV program. Notice commander CIV from M2A3 Bradley. It's probably based on CMI 3000 series manned turret, to be more precise on 3030 variant. 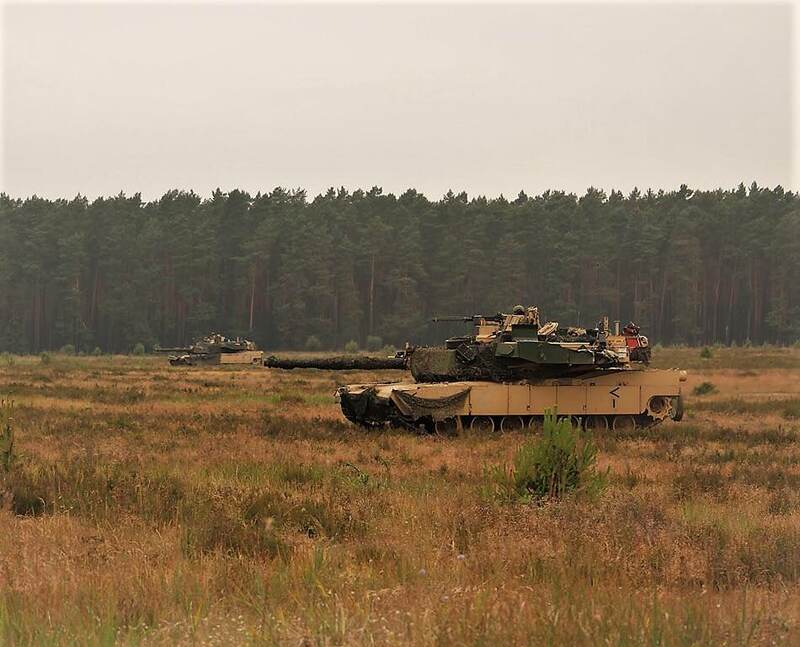 One of the M1A2SEPv2's photographed in Poland, it seems they are testing Trophy HV APS in the field during Saber Strike excercises? Hmmm, interesting. More photos! It's more than just one tank, it seems that US Army version of Trophy HV is in form of addon modules that can be added to any tank perhaps? It can be added to the SA, FEP and SEP. I’m sure it can adjusted for different tanks. Yeah, by the way, if this is not OPSEC, do you know the storage capacity of autoloaders for interceptors of M1's Trophy HV version? I know from Rafael employee that I talked with during one of the MSPO expo's that standard version for Merkava Mk4 have for each module 1 interceptor ready + 4 in the autoloader storage, so 5 for each side, 10 in total. However Trophy HV modules for M1 are definately larger, more boxy, so I wonder if their interceptors storage was increased? 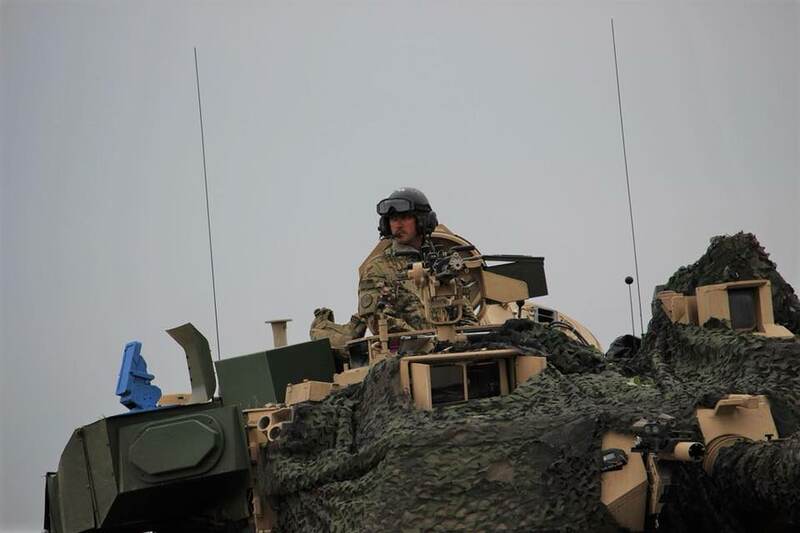 SEP v2's of 2-70 Armor during the first day (June 5th) of live fire at the Strong Europe Tank Challenge 2018. They're sporting OD with white stars on the side skirts and front hull. The turret faces are adorned with the Big Red One's insignia. No doubt a throwback to the old days. They look great in OD, wish it would again be standard camo pattern for US vehicles, it's far more universal than desert tan. I like the OD green but I wish they would get rid of the big white aiming points on the hull. Yeah, obviously this is more a memorial camo pattern for STCE. But OD yes, is very universal, if we consider that OD is a good backing color when vehicle is covered with dust, mud, tree branches and camouflage nets. Israelis do the same, they do not have a camo pattern, tanks are colored in color similiar to the background, and rest of pattern is created by sand, dust, mud etc. It's a cheap, simple and relatively effective solution.